Accidentally deleting data from your phone is an all too common thing to do. We have all been victims to our own crimes, especially when this is concerned. Sometimes it is a matter of an accident, and sometimes it is something as silly as muscle memory. Most devices will allow you to recover deleted files, and we all know that we can simply head to the ‘Deleted folder’ to find any deleted emails. However, things are not so simple when it comes to items like contacts or text messages. Interestingly, phones don’t normally come with any folders which will store any of these items. ITunes Backup: One of the simplest ways to recover lost data such as a text or a contact is to plug your phone into your computer and use iTunes to recover the data from your last backup. There are obvious issues with this method. Firstly, you will need to make sure you regularly back up your phone using iTunes. Secondly, if you do recover your old text, you will lose anything between your last backup and now. ICloud backup: Using Spotlight search, you can often look up deleted data. While this is more reliable than the method above, it is once again recommended that you go and enable backups and let Spotlight search through. Use third party software like iMyfone D-Backup. 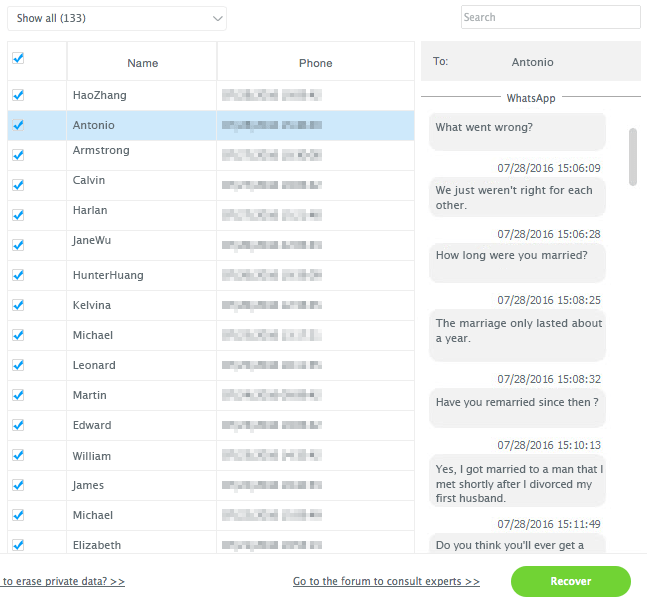 While the first two methods are useful in their own way, if you have an iPhone, using iMyfone D-Back is one of the best ways to find any lost data on your phone. 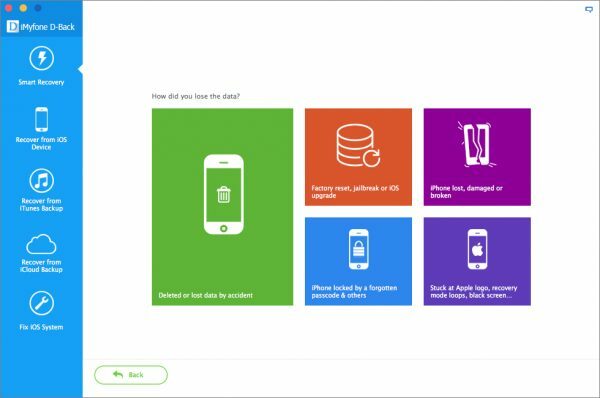 With iMyfone D-Back, you can recover deleted or lost data from your iPhone/iPad no matter how you lost them. Recover data from an iPhone that has had a virus attack. 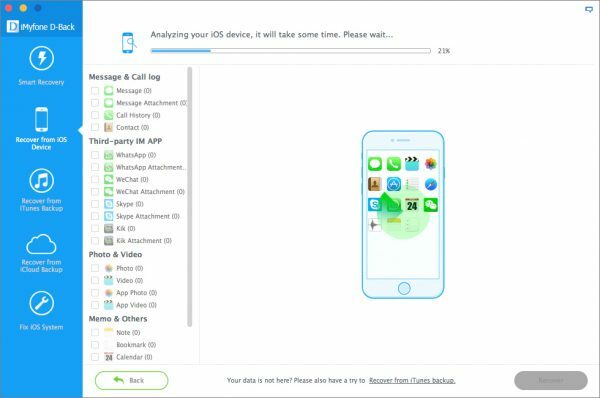 Recover data on an iPhone if you have lost your passkey. 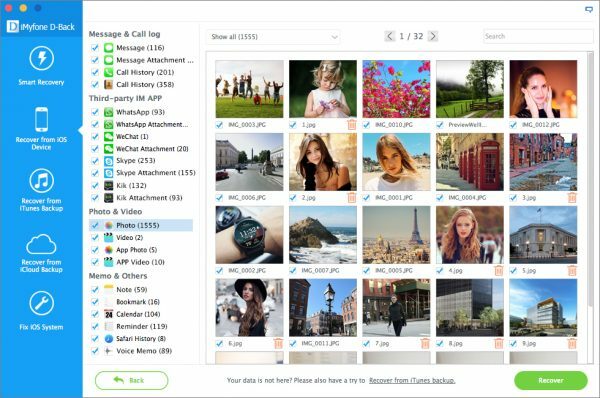 Recovers over 22 types of files and data, including messages, contacts, pictures, and data from within apps such as WhatsApp too. 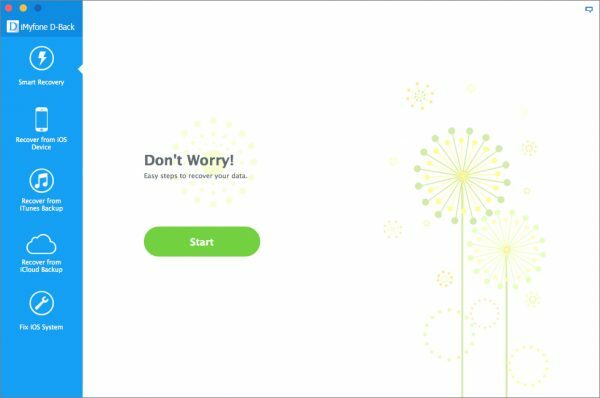 Allows you to pick and choose what type of data you would like to recover. Special preview means you only recover what you need. Smart recovery mode explores your phone and lets you choose what you want. 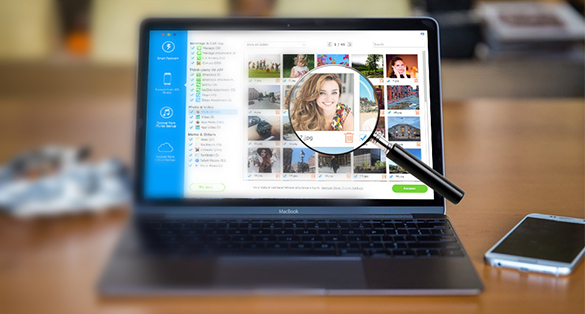 Lets you recover data from your iTunes back up or iCloud, even if your phone is lost. Lets you recover and rescue your phone at home, with no data loss. Supports recovery for all kinds of iOS devices, I.e. iPhones, iPads and iPods. Generally it sells for $69.95, but currently it is going for $49.95. You can also get a free trial to check how well it works. The software also comes with 100% money back guarantee as well as lifetime support. It is 100% secure, meaning you can totally trust it. Go on, give it a go by heading to the iMyfone D-Back iPhone Data Recovery website.